Sponge and leather material, soft and comfortable. – Super cool style, a necessary goggle for motorcycle drivers. 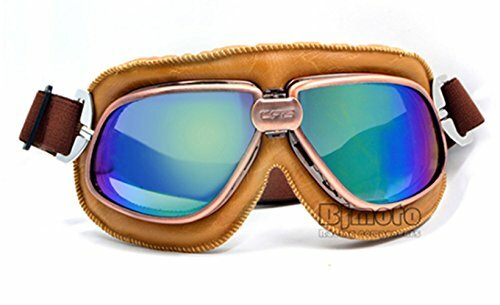 Specifications: – Frame Color: Copper – Lens Color: Clear,Tea,Silver,UV,Yellow – Material: ABS/PC/Sponge/Leather – Item Weight: 100g Suit For : – Motorcycle Riding Package Include: – 1 * Motorcycle GogglesFoldable design, convenient to storage. Good protection for eyes, windproof and dustproof. Elastic strap is adjustable and skid proof, fit for any person.